Crazy Dog shampoos are formulated to clean, condition and moisturize all coat types. Good for all breeds. Conditions and adds body and luster. Contains panthenol which promotes long lasting conditioning, improves manageability and provides for a fuller and more luxurious shine. 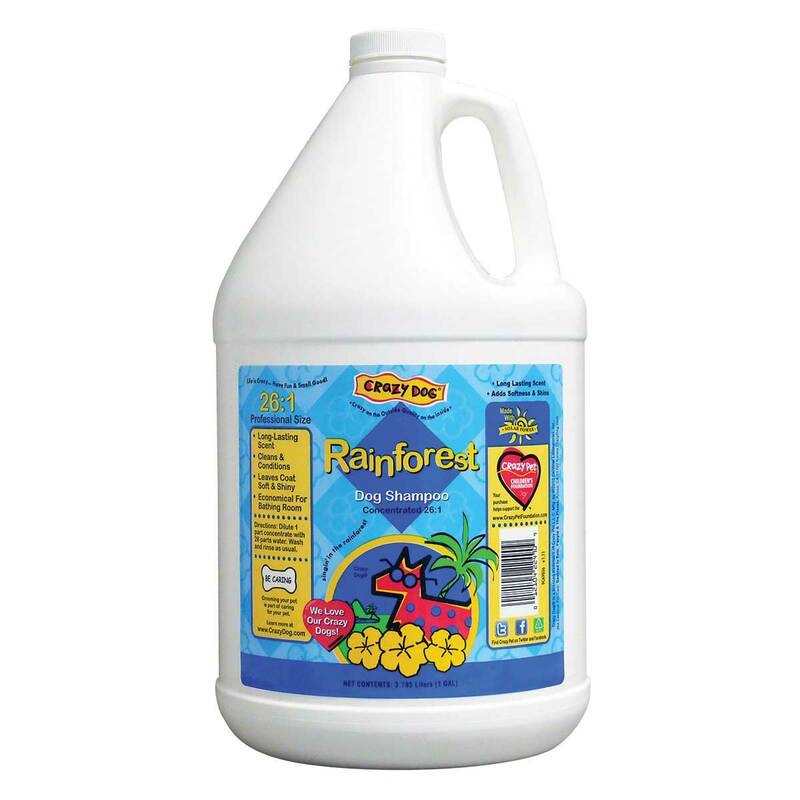 Rain Forest Fragrance Gallon 26:1.